Is it Time for South Korea to Regain Wartime Operational Control? 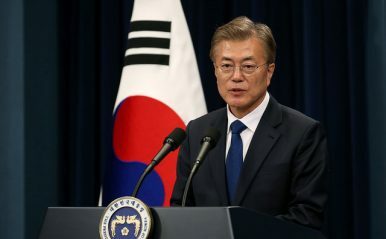 President Moon’s recent remarks sparked fierce debate on retrieving South Korea’s wartime operational control from the United States. His remarks came prior to the national government audits which began on October 13. The topic became a top priority issue every time military agencies were put before the inspectors. The debate on transferring wartime operational control has been on the table for a decade since the days of the Roh administration back. Originally, the plan was to designate a certain date for the transfer. However, after series of delays, the U.S. and South Korea agreed in October 2014 at the 46th Security Consultative Meeting that the transfer will be made when certain conditions are met, postponing the transfer indefinitely. The conditions for the transfer include securing critical ROK and alliance military capabilities to lead combined operations, the ability to respond to the North Korean nuclear and missile threats, and a security environment on the Korean Peninsula and in the region that is conducive to a stable transfer of wartime operational control. Operational control is the right to control military operations. It is mainly divided into peacetime and wartime operational controls. By default, operational control is delegated to the head of a sovereign state, but South Korea delegated its operational control to General Douglas MacArthur, the then-commander of the United Nations Command, on July 17, 1950, immediately after the outbreak of the Korean War. South Korea retrieved its peacetime operational control in December 1994, but wartime operational control is still delegated to the commander of Combined Forces Command, a U.S. general.